If you have any connection to environmental issues in the Lowcountry, you have likely heard that Hilton Head and Beaufort County are considering ordinances that would ban single-use plastic bags. What you may not have heard about is a bill, pushed by the plastic industry, that would prevent local governments from passing ordinances that regulate the sale and distribution of plastic bags—the so-called “Ban on Bans” Bill or H. 3529. The State House of Representatives voted in March of this year to table this bill until January of 2018. The bill violates Home Rule (the ability for local governments to set their own rules) and sets a disturbing precedent. If the state passes this restriction on Home Rule in January 2018, our local governments will be prevented from addressing the problems plastic bags are causing in our communities and in our ecosystems. We will continue to see bags floating on the waterways, removed from the intestinal tract of sea turtles, snagged by oyster reefs, blowing in the streets and adorning the trees in the median. Does this picture sound like scenery we are proud to call home? Of course not. 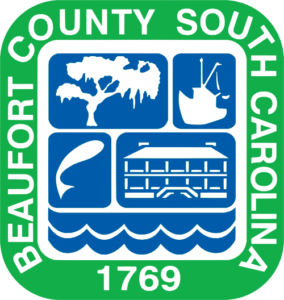 That’s why Beaufort County is considering a ban on single-use plastic bags—the kind you get at the checkout counter. The County has not suggested banning all plastics. 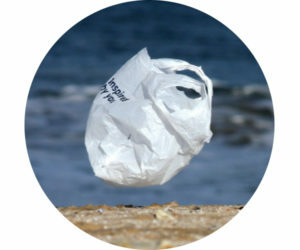 Single-use plastic bags catch wind and travel great distances. When they end up over the marine environment, settle on the surface of the ocean and submerge, they resemble jellyfish, a major food source for leatherback sea turtles. There have been Planning Commission meetings and several County Council meetings—with and without public comment—where a ban on plastic bags received overwhelming support from the community. A survey conducted by the Hilton Head Island-Bluffton Chamber of Commerce also conveyed the majority opinion that we could live without the single-use plastic bag. The community supports the ban, the local government does not want to lose Home Rule and the environment will benefit. So why this push for a “Ban on Bans” at the state level? A plastic bag manufacturer that maintains administrative offices in South Carolina argues their industry takes precedent over the wishes of local citizens, the health of our environment and our water quality. But, here in coastal South Carolina, where the salt marsh estuary pervades our Lowcountry for miles inland, we understand why we should implement policies ensuring Spanish moss is hanging from our trees—not plastic bags. Isle of Palms and, later, Folly Beach have already initiated a ban on plastic bags and look like rock stars. They are trailblazers and have been successful with the backing of communities that value the unique Lowcountry ecosystem. Folly Beach took an extra leap and banned Styrofoam and balloons on their beaches, as well. This is an example of proactive citizens working to solve a problem in their community with real results. Their decision will be grandfathered in, even if South Carolina defeats the Home Rule Act. It’s time to protect what is beautiful in our coastal towns and the scenery we enjoy every day. It is a call to action to assist the sea turtles that are confused by the floating plastic. You can make a difference. Tell your local elected officials you support banning plastic bags. Tell your representatives and senators that you oppose House Bill 3529.